Lacey Johnson is a freelance journalist and photographer based in Washington, D.C. She is a regular contributor to Greentech Media and Reuters, and writes the daily U.S. Energy News digest for Energy News Network. Her writing has also appeared in E&E News, Scientific American, The Chronicle of Higher Education and other publications. Lacey is a graduate of the Columbia Journalism School and Rochester Institute of Technology. Find her on Twitter @laceyajo. On Monday, Arizona Gov. 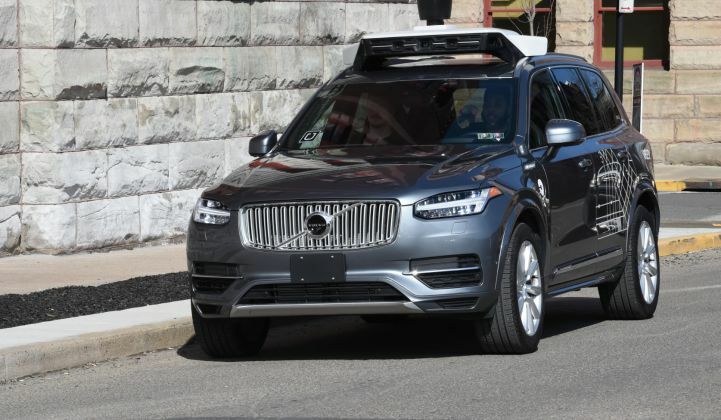 Doug Ducey ordered Uber to stop testing its autonomous vehicles on public roads in the state, following what is believed to be the first pedestrian death associated with autonomous-driving technology. One of Uber’s self-driving vehicles struck and killed Elaine Herzberg, 49, as she walked a bicycle across a four-lane street in Tempe, Arizona, the night of March 18. Video footage released by authorities shows the backup driver of the autonomous Volvo XC90 looking away from the road just before the collision. Herzberg, who was wearing black clothing, appears to emerge out of nowhere. The footage of the crash is "disturbing and alarming, and it raises many questions about the ability of Uber to continue testing in Arizona," Ducey wrote in an open letter to Uber’s CEO, Dara Khosrowshahi. Uber already voluntarily suspended its self-driving programs in San Francisco, Pittsburgh, Phoenix and Toronto last week. At least three other companies have followed suit. Toyota suspended its U.S. autonomous vehicle (AV) testing last Wednesday, saying the incident in Arizona could be emotionally distressing for its drivers. Self-driving startup nuTonomy also halted its pilot tests in Boston at the request of city officials. On Tuesday chipmaker Nvidia Corp., which supplied the computing platform for Uber’s autonomous cars, announced it was suspending its self-driving tests globally. The accident is sparking calls for more regulation. "The Uber accident highlights the need for federal action on safety regulations, said Amitai Bin-Nun, an expert on autonomous vehicles at Securing America's Future Energy, a nonpartisan organization that aims to reduce America's dependence on oil. “In the long term, we need congressional actions...so companies have guidance and certainty to make the right decisions,” said Bin-Nun. The National Highway Traffic Safety Administration is responsible for motor vehicle safety at the federal level, but it hasn’t established comprehensive standards for AVs. According to a report published last month by Bloomberg New Energy Finance, 21 states have passed AV legislation, and 19 of these enable testing on public roads. Having federal standards in place would help states and companies “decide what’s road-worthy and not, so it’s not a real-time decision made in the aftermath of emotionally charged events,” said Bin-Nun. 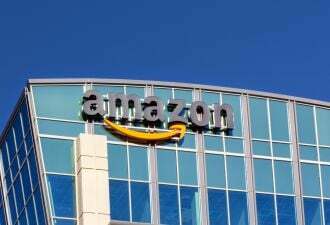 Arizona is known for its lenient policies toward AV technology, and is a testing hub for companies like Uber, Waymo, GM and Intel. Unlike California, the state doesn’t require companies to submit reports on how well their technology is performing. Here’s how industry stakeholders and legal experts have responded to last Sunday’s crash. Was the technology to blame? Most experts agree that Uber’s system should have been able to avoid hitting pedestrians like the one in Tempe. Bryant Smith, a University of South Carolina law professor who studies autonomous vehicles, told the Associated Press: “The victim did not come out of nowhere. She’s moving on a dark road, but it’s an open road, so lidar (laser) and radar should have detected and classified her” as a human. Uber is one of many automated vehicle companies that uses a laser-based mapping system called lidar (light detection and ranging) to anticipate potential obstacles. When functioning properly, lidar should detect objects from hundreds of feet away, even in the dark. The Volvo XC90 sport-utility vehicle that struck and killed Herzberg was reportedly equipped with a lidar system made by Silicon Valley-based Velodyne. Velodyne’s president, Thoma Hall, told the BBC that she was “baffled” by the incident: "Our lidar can see perfectly well in the dark, as well as it sees in daylight, producing millions of points of information,” said Hall, who speculated Uber's on-board computer could be to blame for the crash. "However, it is up to the rest of the system to interpret and use the data to make decisions. We do not know how the Uber system of decision-making works." The National Highway Traffic Safety Administration and National Transportation Safety Board are currently investigating the cause of the fatal collision, but it will likely take months before an official report is released. John Krafcik, the CEO of Waymo, said his company’s autonomous vehicles could have avoided such an accident. “I can say with some confidence that in situations like that one with pedestrians — in this case a pedestrian with a bicycle — we have a lot of confidence that our technology would be robust and would be able to handle situations like that,” he said during a panel at the National Automobile Dealers Association convention in Las Vegas on Saturday. On Tuesday, Krafcik unveiled the “world’s first premium, electric, fully self-driving car” at the New York International Auto Show. Waymo plans to buy up to 20,000 electric cars from Jaguar Land Rover, starting with a ride-hailing service set to launch in Phoenix later this year. Last month Uber paid Waymo $245 million to settle a lawsuit that accused Uber of stealing lidar trade secrets from Waymo. Top BMW engineer Dr. Klaus Fröhlich expressed less confidence in autonomous vehicles at a conference last week. He said fatal crashes like the one in Arizona are “inevitable” with current technology. Investigators could find Uber, the manufacturer, or Herzberg, the pedestrian, to be responsible for the accident. James Arrowood, who teaches the State Bar of Arizona course on driverless cars, said Uber has a good defense because it’s the pedestrian’s responsibility to yield to traffic when crossing outside of a crosswalk. "The video helps them," Arrowood told The Arizona Republic. "You would have a difficult time trying to convince a jury the outcome would have been different had it just been a driver in the vehicle." The safety driver, Rafaela Vasquez, has come under scrutiny for having a criminal record. She was convicted for attempted armed robbery in 2000 and pleaded guilty to driving without a valid license in 1998, according to Arizona Department of Corrections records. An Uber spokesperson said Vasquez met the company’s standard background-check requirements, which date back seven years. Should we expect new regulations? Securing America's Future Energy's Amitai Bin-Nun told GTM that he doubts Arizona lawmakers will crack down on other companies testing self-driving technology in the state. What does all this mean for the future of self-driving cars? The opinions are mixed. Leslie Hayward, vice president of communications for Securing America's Future Energy, told GTM it’s hard to know what will happen next.